This is the second-to-last edition of the WAVES newsletter. 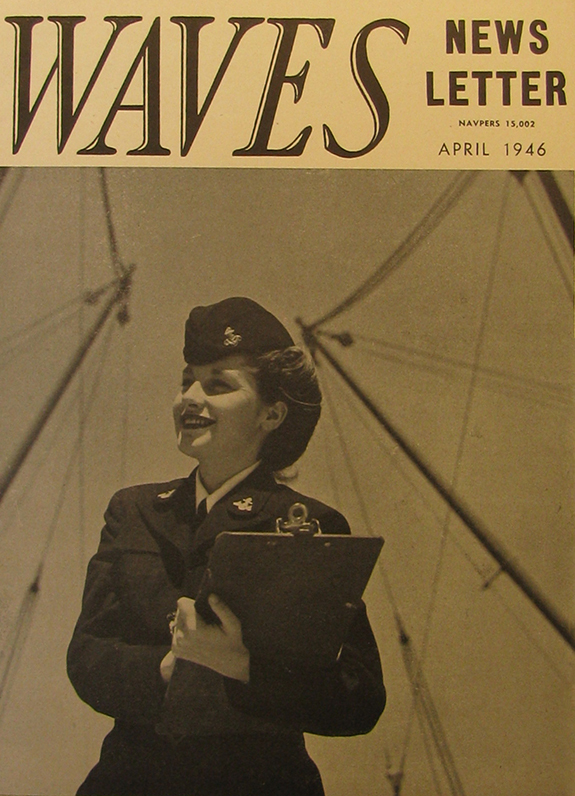 The WAVE on the cover is wearing the dress blue uniform and the “overseas” regulation uniform hat. The newsletter comes from The Arthur and Elizabeth Schlesinger Library on the History of Women in America at the Radcliffe Institute for Advanced Study, Harvard University.